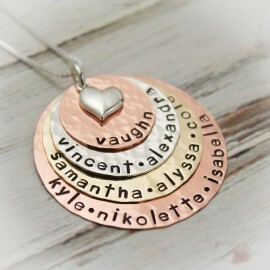 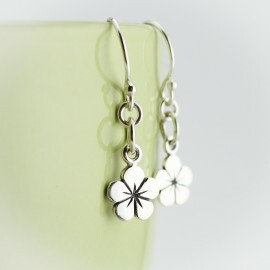 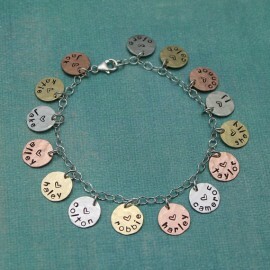 This is a perfect Mother's Day Gift for Grandma to show off all of her children or grandchildren. 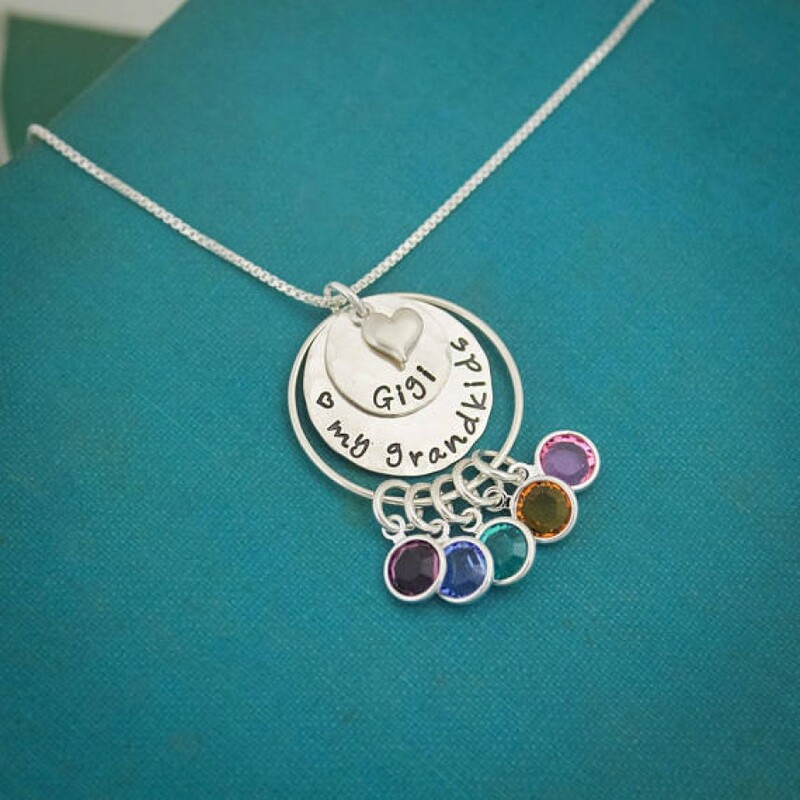 A sterling silver pendant of stacked discs are hammered and hand stamped with her special grandmother name and then bottom disc can be stamped with a special message. 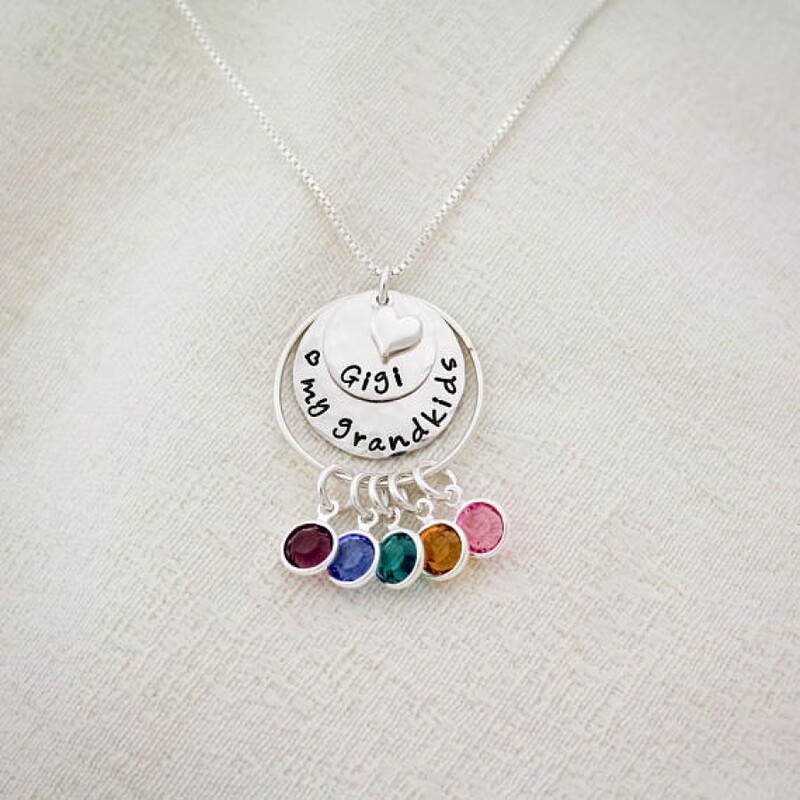 A tiny sterling silver heart charm adorns the top of the disc. 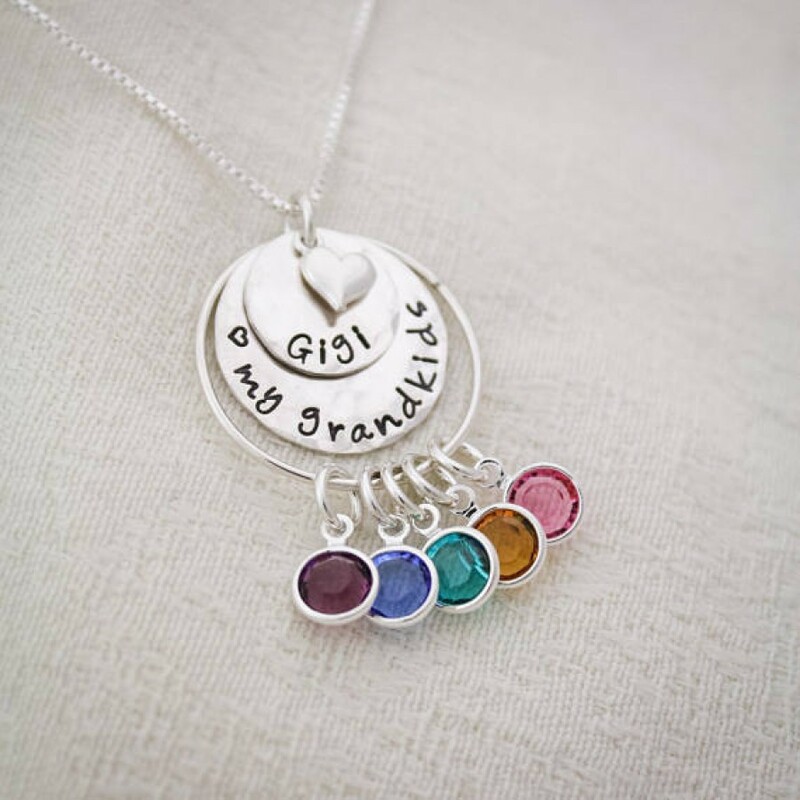 A sterling silver ring holds all of the birthstones of her grandchildren. 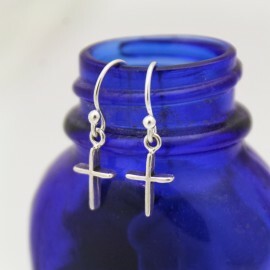 This comes with a sterling silver chain. 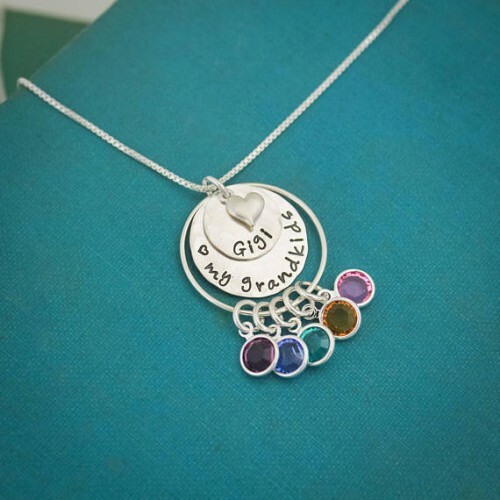 More birthstones can be added when more children are born. 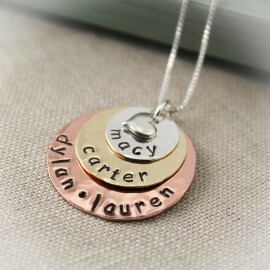 Disc sizes are 1/2 inch and 3/4". 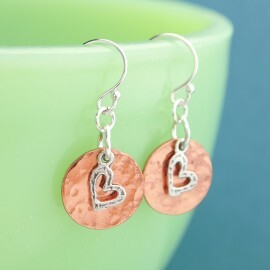 Circle size is approximately 1". 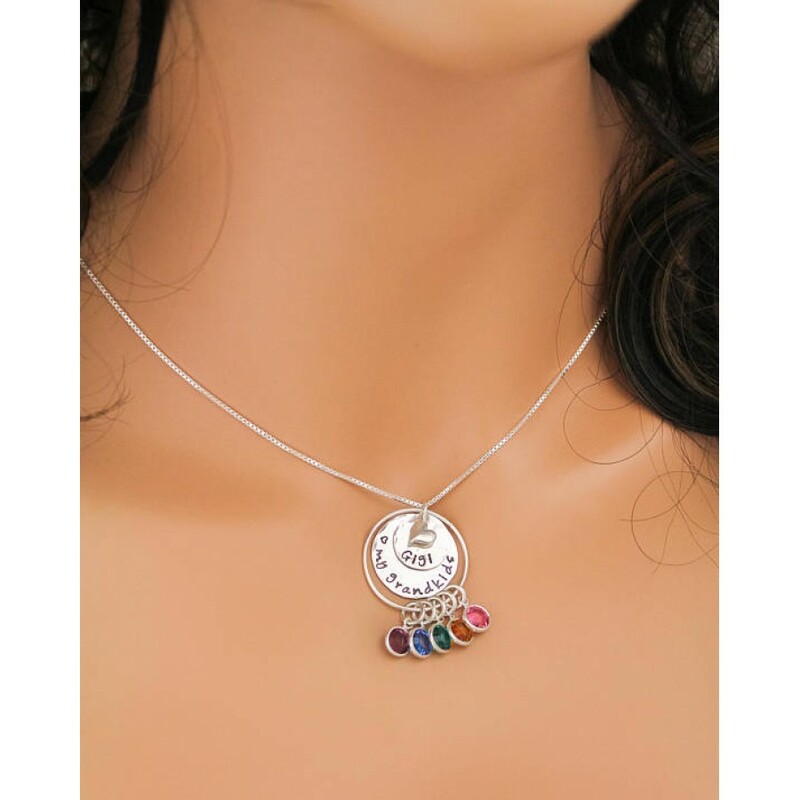 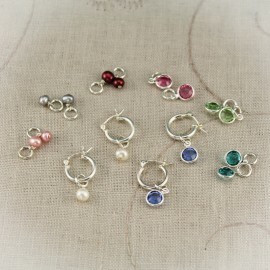 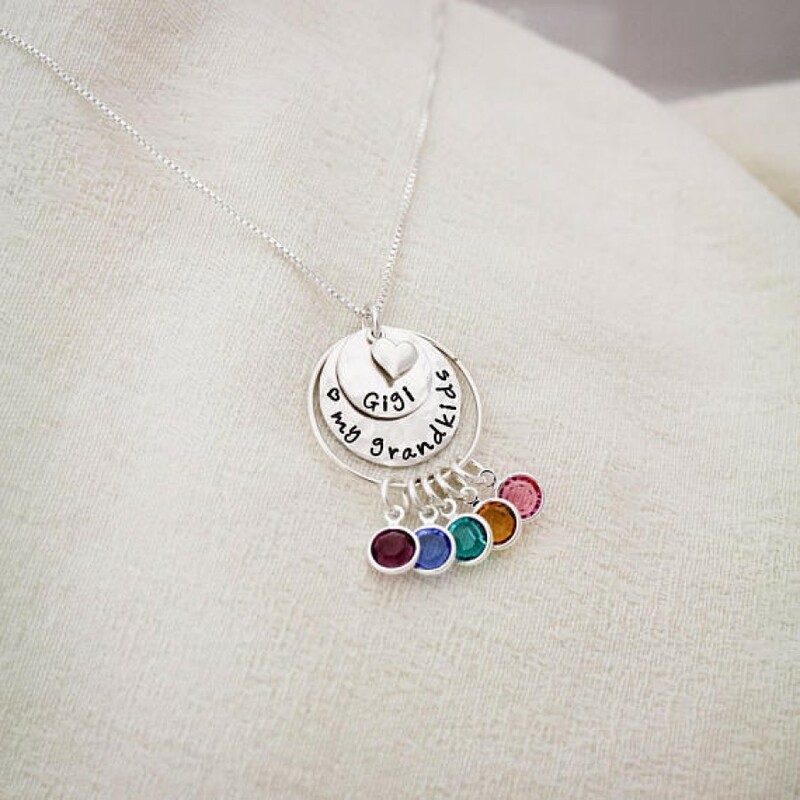 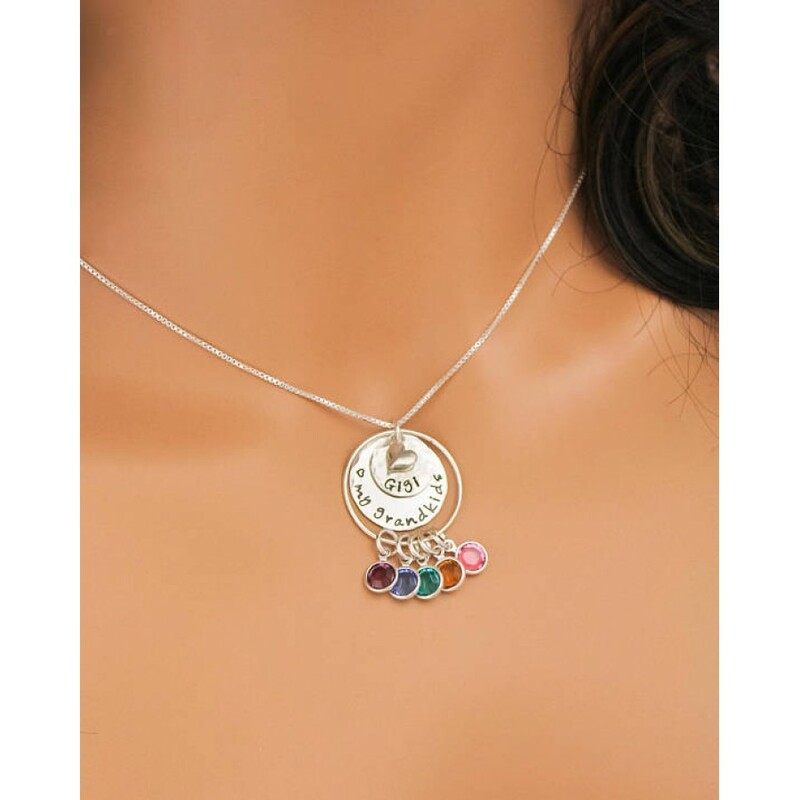 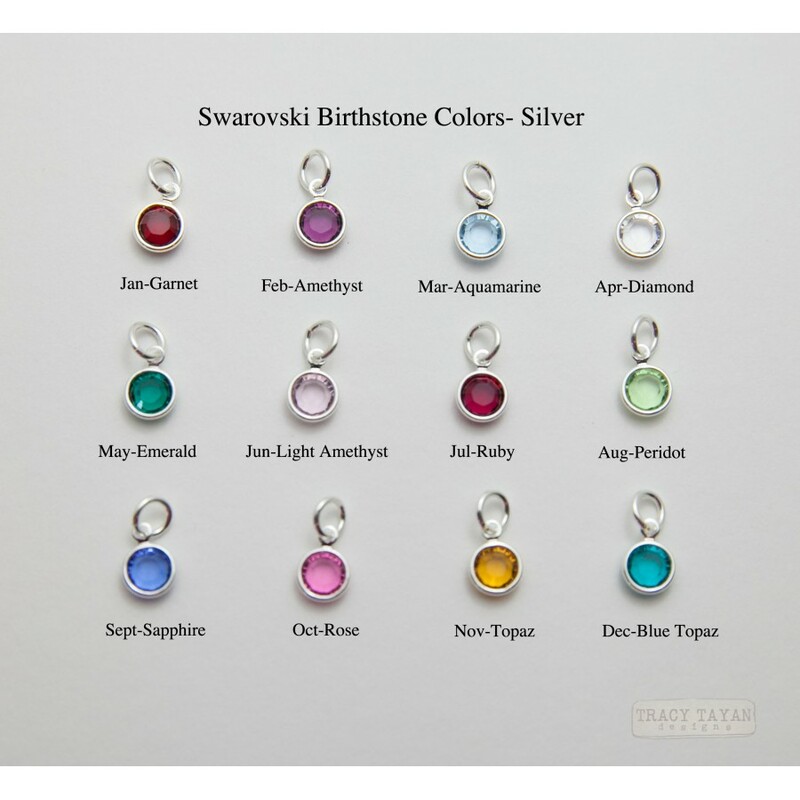 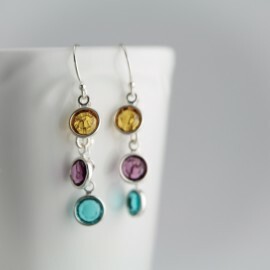 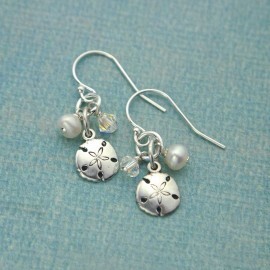 Each birthstone is 6mm, made with Swarovski crystals, and silver plated.